I was reading this great article about how we are still paying more for rent per sq ft than we pay if we purchased the home. In the Puget Sound area, we are #5 on the list for highest median rent. With interest rates under 4% and loans more easily acquired, now is the time to really talk to your mortgage professional and find out if you are eligible to buy TODAY!! Then call me so we can start looking for our new home. Here is more details of why it is a great time to buy. Data can sometimes reveal unexpected trends. This isn’t one of those times. New numbers from the U.S. Census Bureau shows that is Seattle is — for the first time — among the five most-expensive big cities for renters. The median amount paid by Seattle renters reached $1,448 last year, an increase of $92 from 2015. The median is the midway point. Half the renters pay more, and half the renters pay less. It’s certainly no surprise to anyone who’s at the whim of the local rental market, and that’s a lot of people. The data show about 331,000 people living in rental units in Seattle last year, a jump of close to 60,000 since the start of this decade. 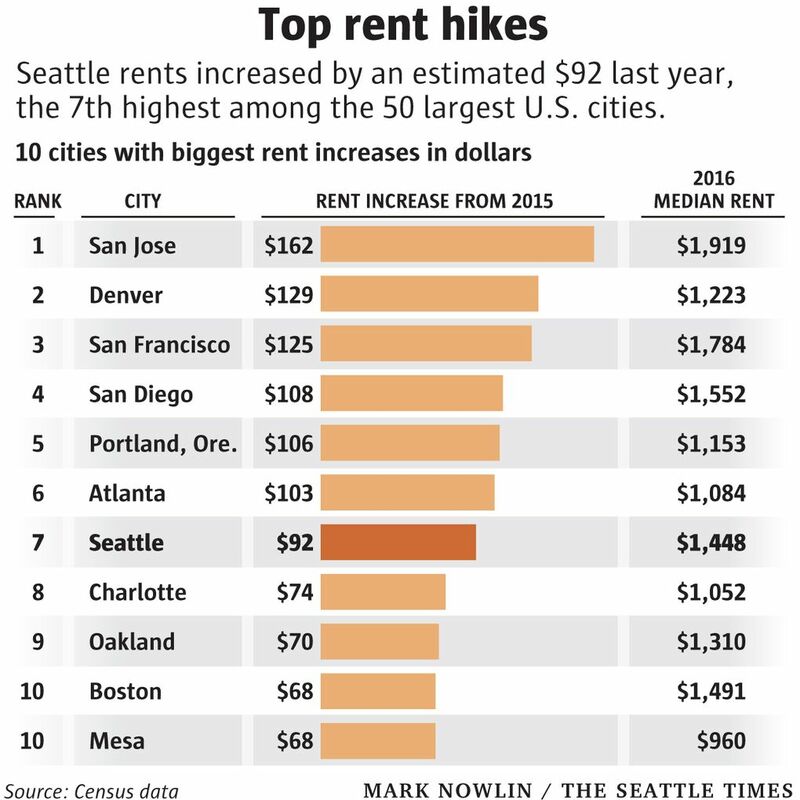 Back in 2014 — a mere three years ago — I wrote about Seattle making its debut among the top 10 most-expensive rental cities. It seemed like big news at the time, but as it turns out, we were just warming up. Since then, Seattle has climbed its way past Los Angeles, Virginia Beach, Honolulu, and even New York City, which we toppled in 2015. Then, last year, we leapfrogged Washington, D.C., into the No. 5 spot among the 50 biggest cities in the country. As for next year? Look out, Boston, we’re right there in your rearview mirror. 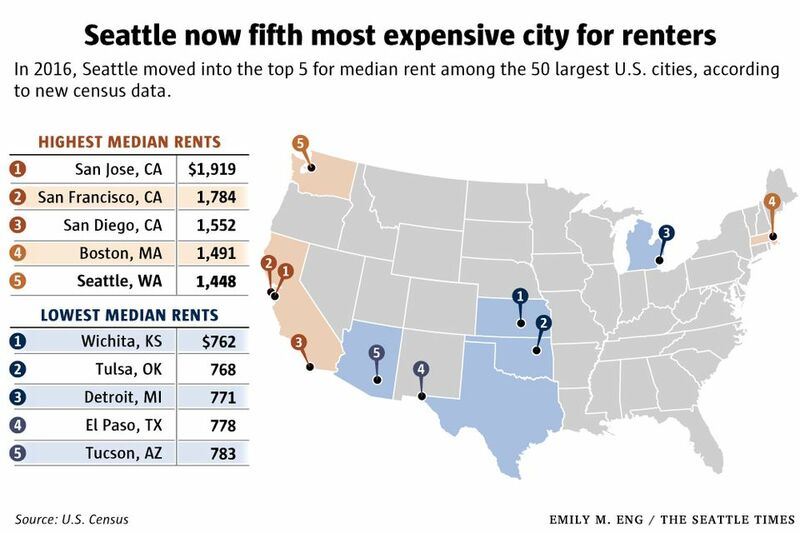 The biggest rent increase — $162 — was in San Jose, Calif., which also has the highest median of any major city. Portland saw its median go up by more than $100 for the first time, ranking the Rose City fifth for rent increases last year. Even at $1,153, it’s significantly cheaper than Seattle. Some of the dollar amounts for median rent in the census data might sound strangely low. For example, the median for San Francisco is less than $1,800, but good luck trying to find a place for that amount in the City by the Bay. The reason is that census numbers are not based on the present market rate, like many rental estimates you’ll see. Rather, the Census Bureau surveys people who are renting, and asks them what they pay. People living in market-rate apartments are counted, of course, but so are folks in older and less-expensive units, as well as those in subsidized housing who may pay little or no rent at all. Many renters who have been living in their apartment for a long time pay far less than market rate. And in San Francisco and New York, a significant number of units are rent-controlled and rent-stabilized, further bringing down the medians in those two cities. Census figures also includes the estimated average monthly cost of utilities, if these are paid by the renter. 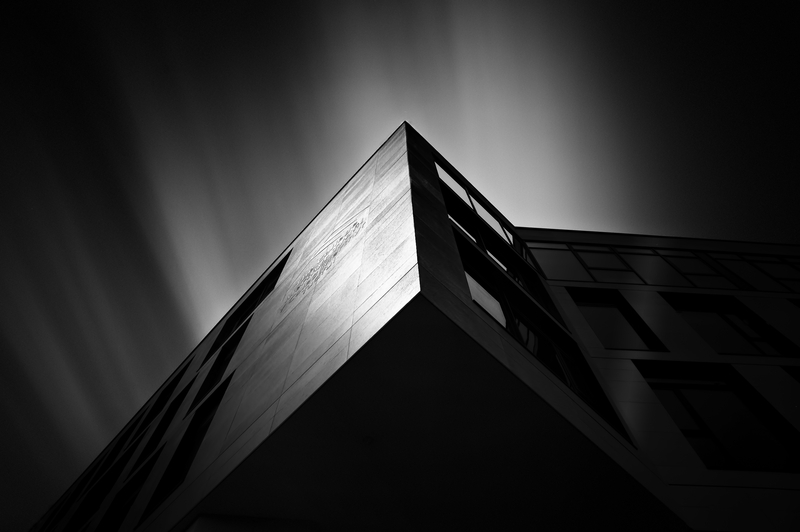 This is intended to eliminate differences that result from varying practices — in one apartment building, some or all utilities may be included in the rent, while at the next building, the tenants might be on the hook for everything. As tough as things are in Seattle, consider the poor folks renting in Bellevue. The median there jumped by a whopping $153 last year, hitting $1,846. Bellevue is the extreme, but the census data show that all cities in our metro area are getting more expensive. And for the first time, Tacoma joined the $1,000 club — the median rent now is $1,054. Looking for an escape from Seattle’s soaring housing costs? If you want flat rents — and are OK with flat everything — the cheapest big city in the U.S., with a median rent of $762, is Wichita, Kan.